The Legends Resort Parkland course is a true description of its name. 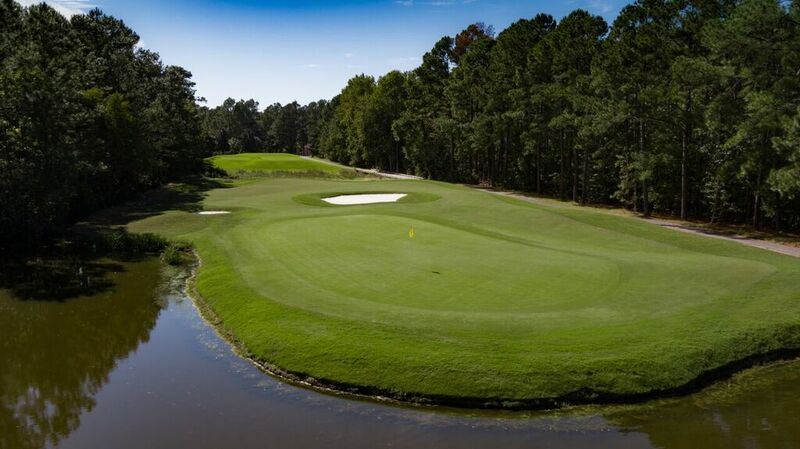 Taking its place alongside the award-winning Heathland and Moorland golf courses in Myrtle Beach, Parkland is also quickly establishing itself as the most exciting new course in Myrtle Beach. This course offers surprisingly distinct contrasts to the first two Legends golf courses. The Parkland demonstrates the diversity and beauty of its natural terrain. The layout features contoured, tree-lined fairways and vast natural areas. Not to mention the deep-faced bunkers and also massive, multi-level greens. Opened for play in October 1992, Parkland is modeled after the style of architects Alister MacKenzie, (Augusta National) and George Thomas (Riviera Country Club). Playing the unforgettably challenging fairway and green-side bunkering requires a deft touch off the tee and on the approach. From tee to green, strategy will be the order of the day on this stunning, par-72 playing field. The Legends Resort features onsite golf course accommodations, and three onsite golf courses. These 3 courses include the Moorland course, the Heathland course and the Parkland course. A lighted driving range and vast practice facility, as well as a Scottish pub make this resort a complete golfers’ paradise. In addition to the many great packages offered by the Legends Resort, and all rounds include complimentary breakfast buffet, lunch and 2 draft beers.